Birth Control and Depression - What is the Link Between Them? Birth Control and Depression - Is there a link? Birth Control and Depression – Is there a link? Michelle had struggled with her mood since starting the pill 4 years earlier, which prompted her to start counseling. Now 3 months off the pill, her mood struggles persisted and she was at a loss of what to do. “I had thought my mood would get better when I stopped the pill, but it hasn’t,” she explained. She was in my office because she knew there was a connection between her birth control and depression. Of the millions of pill users, 30% of those quit the pill due to dissatisfaction, and side effects were cited as the number one reason. 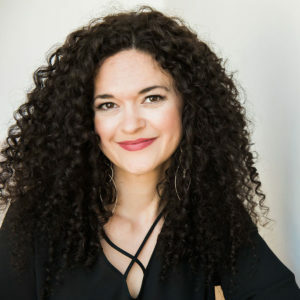 As a doctor who helps women undo the effects of birth control and heal from Post-Birth Control Syndrome, I can assure you—there is a connection between birth control and depression. Young women were found to have three times the risk of suicide while using hormonal birth control! 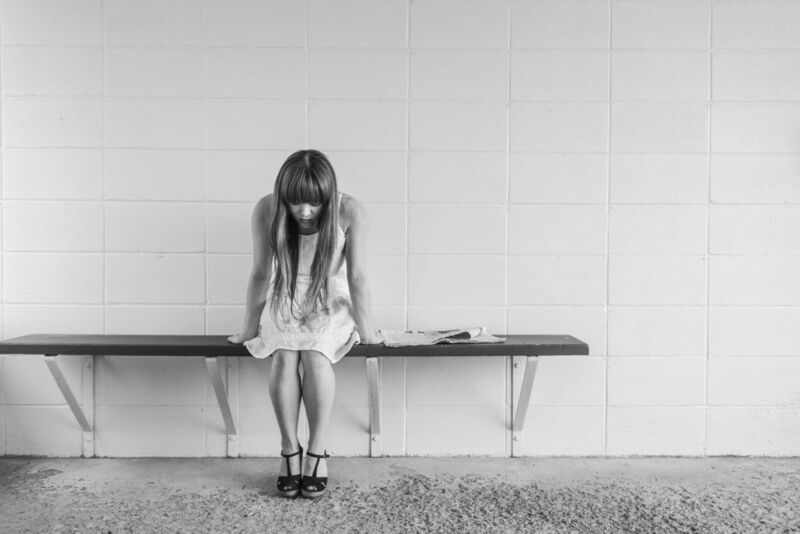 In the largest epidemiological study to date, researchers followed over one million women ages 15-34 for 13 years and found that women were more likely to be diagnosed with depression after being given the pill. In fact, women prescribed combination pills were 23% more likely to be prescribed anti-depressants. This is concerning, but perhaps the most startling finding was that teens were 80% more likely to develop depression when prescribed the combined pill. The progestin-only pill wasn’t much better, increasing teens risk 2 fold. This was a groundbreaking study because it was the first time a study of this size showed a relationship between birth control and depression. While other studies have been unable to show a definitive association between the pill and depression, this study finally gave women (and doctors) a good look at the risk of birth control and depression. A more recent study has shown young women who use hormonal contraceptives, including the birth control pill, the ring, IUDs and the patch have three times the risk of suicide compared to women who have never used hormonal birth control. This study found the risk of suicide peaked in the first two months from beginning hormonal birth control. Although the risk plateaued after a year, it still remained higher compared to those who never used hormonal contraceptives. The patch had the highest association of suicide attempts, with the IUD, vaginal ring and the pill following close behind. Epidemiological studies can have many variables that make it difficult to show cause and effec. But, these findings should give us all pause with regards to how freely hormonal contraceptives are prescribed. I believe in a woman’s right to prevent pregnancy, as much as I believe in her right to have a true informed consent. Knowing the risks, along with the signs to look out for and how to protect yourself is important to maintaining your health. In light of this data, many experts are calling for more thorough screening and personalized counseling by doctors before they recommend hormonal contraceptives to their patients. This is something I have been advocated for in women’s health for years because not all of us respond the same to hormones and having individualized recommendations can make all the difference in a woman's life. Supporting natural hormone detoxification is one of the key steps in reversing post-pill symptoms. 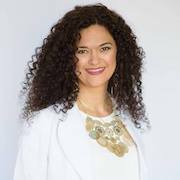 Download Dr. Brighten's Post-Birth Control Syndrome Quick Start Detox Guide. Who is at risk for depression on birth control? While I love seeing new data and gaining a deeper understanding of risks. I think it is time we turn our attention to asking the question—who is at risk? If we can understand the mechanism and what makes someone susceptible then we can do a better job. Better counseling our women about the risk of hormonal contraceptives and the link between birth control and depression. What we currently understand is a personal or family history of depression is a risk factor for depression when you begin hormonal contraceptives. Women taking combined contraceptive pill were 23% more likely to be prescribed antidepressants. Teens are 80% more likely to be prescribed an antidepressant with the combination hormone pill. Women taking progestin pill only were 34% more likely to be to be prescribed an antidepressant. 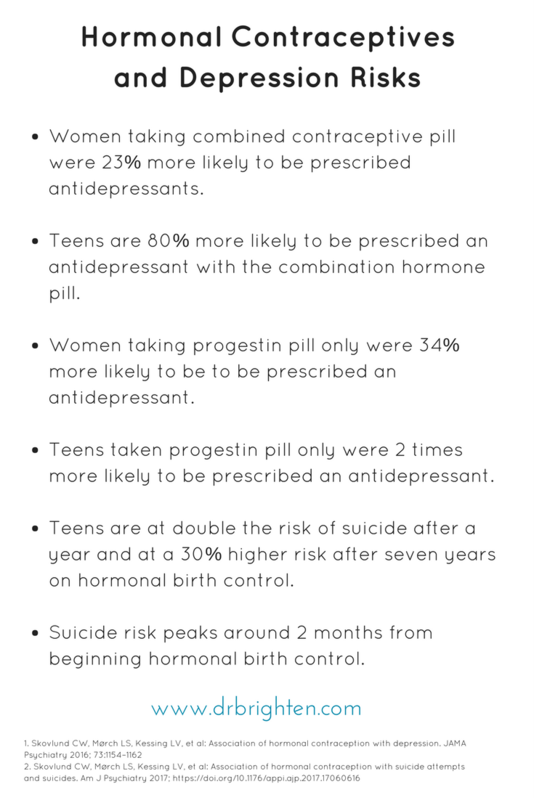 Teens taken progestin pill only were 2 times more likely to be prescribed an antidepressant. Teens are at least double the risk of suicide after a year. A 30% higher risk after seven years on hormonal birth control. Suicide risk peaks around 2 months from beginning hormonal birth control. For Michelle, she had no history of depression, although she recalled her mom telling her about her struggles with postpartum depression. But we found a clue as to why she was feeling depressed in the lab work she brought from her other doctor—her inflammatory markers were elevated and she had low levels of B6. To understand why increased inflammation may increase the risk of depression, let’s explore what we now know about the pill and depression. How could the pill be contributing to depression? There are several mechanisms at play and more research is needed to understand the far reaching impacts of the pill. 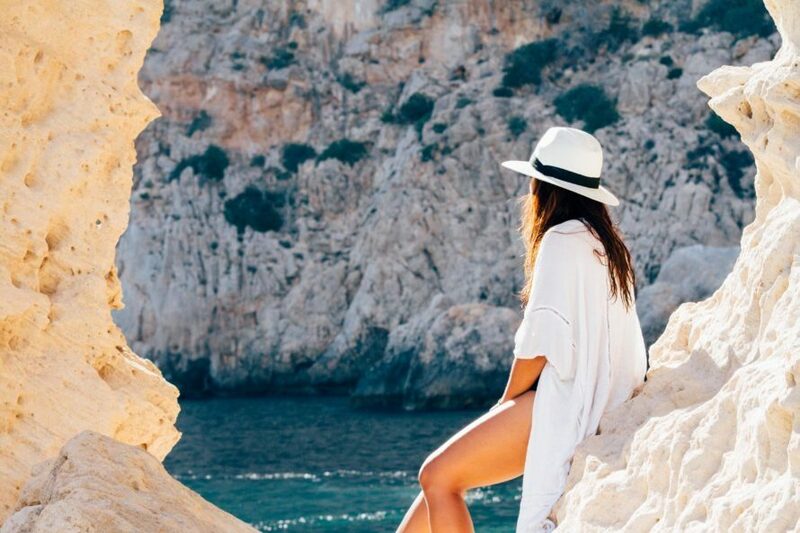 What we do know is the pill depletes nutrients crucial for brain health, disrupts thyroid hormone, causes issues with your adrenals, and inflammation in your gut—any one of these can cause someone to feel depressed. But more recently there has been evidence showing that pill users experience a decrease in neuroprotective molecules (protect brain cells) and have increased levels of neurotoxic chemicals (destroy brain cells) compared to women who are not on the pill. That means being on the pill can be bad news for your brain. How does this happen? It all comes down to how the amino acid tryptophan gets processed while on the pill. Ever heard that turkey makes you sleep? People say this because turkey contains tryptophan, an amino acid you use to make serotonin (happy neurotransmitter) and melatonin (sleepy neurotransmitter). While that Thanksgiving making you sleep business is a myth (it’s more about the carbs, sugar & alcohol), tryptophan is an important amino acid in brain, hormone, and mental health. When tryptophan metabolism is functioning optimally your body produces serotonin and melatonin and kynurenic acid. Kynurenic acid protects your brain. In a recent study, women using the pill were found to have reduced kynurenic acid and elevated CRP, indicating inflammation and immune system activation. This makes sense since the pill is understood to be inflammatory. When inflammation or cortisol go high, the body favors the production of quinolinic acid. Quinolinic acid which is inflammatory and harmful in the brain. We know that inflammation and immune dysregulation have been shown to play a role in the development of depression. Larger studies are needed to understand clearly if this is the primary way birth control and depression are linked. For Michelle, it appeared inflammation was driving her mood symptoms. I explained to Michelle that the pill was inflammatory, which could have been the trigger of her mood symptoms. In addition, the pill depletes B6, which is necessary for making serotonin and kynurenic acid. Because Michelle had only recently discontinued the pill she was experiencing Post-Birth Control Syndrome. I encouraged Michelle to continue working with her counselor while we sought to resolve the root cause of her symptoms. In my practice, I find my patients who are struggling with mood do best when they have the additional support of a mental health ally on their healing journey. return I got Michelle started on a foundational treatment plan to start improving her symptoms. These are the five foundational steps we took to improve Michelle’s mood. I recommended Michelle begin an anti-inflammatory diet with attention to eating nutrient dense food. We had to rebuild her nutrient stores. She opted for more vegetables on her plate and healthier fats in exchange for eliminating food sensitivities, refined grains, and sugars from her diet. She also began incorporating more anti-inflammatory foods like turmeric and ginger into her diet. If you're looking for more dietary support to help support detox and reversing post-pill symptoms please Grab My Post-Birth Control Syndrome Quick Start Detox Guide. We also went to work optimizing Michelle’s digestion. The majority of your immune system (responsible for inflammation) lives in your gut. This is a key place to focus when lowering inflammation. Michelle added a probiotic and made shifts in her diet to support a healthy microbiome. Adding in beneficial fiber and eating in a calm environment helped Michelle experience more regularity and less episodes of indigestion. We wanted to reduce inflammation and support brain health, so we brought in an Omega-3 supplement and had Michele include omega-3 sources of fish like, sardines, salmon, and mackerel in her diet. Omega-3 fatty acids, specifically EPA and DHA have been shown in research to be neuroprotective or in other words, they protect the brain. Your brain is structurally made up of a lot of fat, so it makes sense that you want to fuel it with the healthiest fats. In addition, Omega-3s are anti-inflammatory fats. Research has shown that hormonal birth control is inflammatory as observed through measuring C-Reactive Protein (CRP), an inflammatory protein. 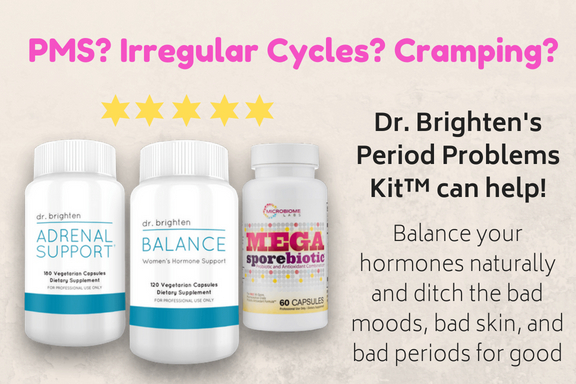 As I talk about in my book, Beyond the Pill, Omeg-3s have the benefit of lowering inflammation and prostaglandins, which can make periods overall easier with less cramps. We got Michelle going on a quality multivitamin with additional B6 to rebuild her stores and support healthy neurotransmitter metabolism. The B-Vitamins and minerals also support liver detoxification pathways, which are important post-pill. I recommended get moving every day to support her mood and her hormones. Regular activity does wonders for the mood and helps your body regulate its hormones. Michelle found a Zumba class she loved and committed to going twice a week. The rest of the week she was either walking or practicing yoga in her living room. Most importantly, Michelle engaged in exercise she enjoyed. I can't overstate the importance of sleep. If you’re not getting at least 7 hours per night then you can kiss healthy hormones and awesome moods goodbye! Michelle’s prescription was to be in bed by 10 pm and to stay there for 8 hours. Sleep is when your brain and body recovers from the day. So if you’re not getting enough of it you can expect your body to struggle. After two months on this treatment plan Michelle reported a shift in her mood. She was feeling less “heavy” and was waking up looking forward to her days more often than she had previously. Her counselor was noticing the change too! With labs in, we went to work on Michelle's next phase of healing. Within months she was feeling like the pre-pill version of herself! If you’re on the pill, have a hormonal IUD, rely on an implant or shot, or using the nuvaring or patch and are experience symptoms of depression, I urge you to speak to your doctor about what role these may be playing and if there are non-hormonal alternatives that would work better for you. In my mind, we shouldn’t need to suffer. Birth control and depression do not need to be the way of things. We shouldn't become dependent on anti-depressants just to ensure we don’t have a baby. There are effective non-hormonal alternatives available. I'm a big fan of this easy to use gadget called Daysy. 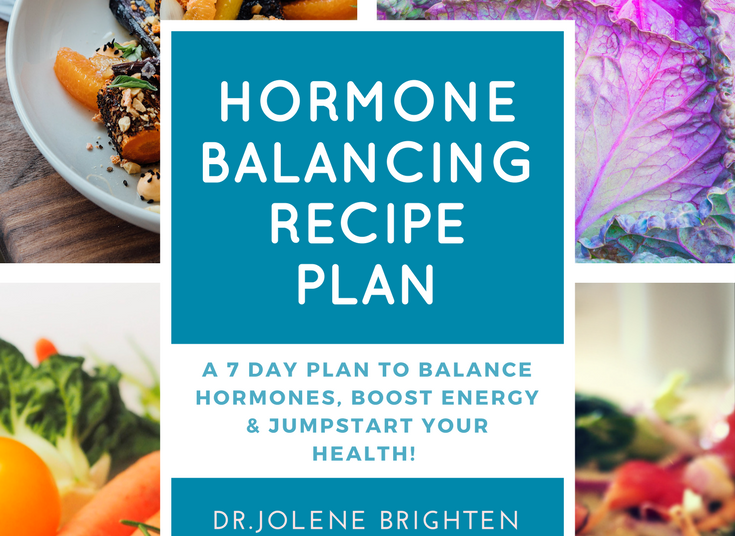 And if you’re on these hormones for symptoms of acne, painful menstrual cramps, heavy or irregular periods, or PCOS then I want you to know that there is a root cause to those symptoms and they are your body’s way of telling you there is something out of balance. This is why the American Congress of Obstetricians and Gynecologist deemed your period the fifth vital sign. It can give you vital information about your health. And if for whatever reason you need to or choose to stay on the pill, make sure you are taking steps to replenish nutrients depleted by the pill, keep inflammation low, and support your liver in natural detoxification. Meeting with a doctor who understands how to monitor your health and your labs while you're on the pill is crucial for minimizing side effects and protecting your health. 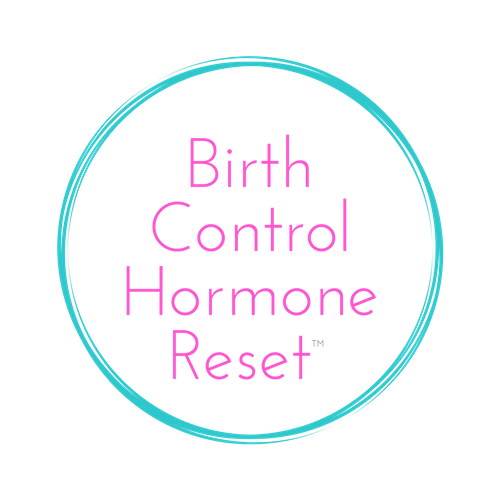 If you're looking for more birth control specific support, then I invite you to learn how to break free from the pill, balance your hormones naturally and reclaim your mood in my Birth Control Hormone Reset Program. You don't have to depend on synthetic hormones to have easy periods, blissful moods and great skin. I know because I help women do this every day in my clinic. Weight gain, mood swings and severe depression were the main side effects Maddy experienced with going on the pill. 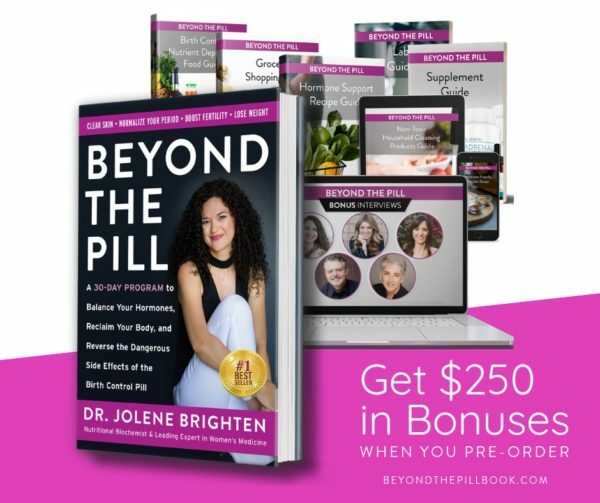 As I explain in Beyond the Pill, there are several reasons why we can experience weight gain on hormonal birth control and there are several studies that have shown a correlation between hormonal birth and depression. For Maddy, she struggled for years with severe depression after beginning hormonal birth control. It was finally after she met with a therapist who encouraged her to track her cycles and come off of birth control. Maddy wasn't totally ready for what came next. Maddy experienced post-birth control syndrome symptoms and lost her period for a year after discontinuing the pill. Her periods were regular prior to starting hormonal birth control, so this was a new experience for her. But her mood improved in a short period of time and her mom actually said to her after she came off the pill, “wow, we finally got Maddy back!” Maddy discusses how dietary shifts helped her get her period back and improve her health overall.